We live in a different world now. The more people share, the more valuable they are to a company. It’s no use having all this amazing information in your head if you never share it with anyone so they can learn from it. Introducing the ShareMaster Award! Lets Collaborate is looking for excellence in making a difference in the workplace and sharing knowledge. 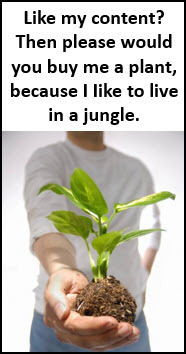 Are you that person? Have you streamlined a business process lately? Reduced the number of emails that have to go out? Won the SharePoint user adoption battle? Saved the company money by making technology work for you? Mentored a new employee so they get on their feet quicker? Written a brilliant research paper and shared it creatively? Did you create a site of terminology your department uses that has helped clear up confusion? Started a trend that has become the accepted way of working now? Made a social or corporate event fun by using technology to organise it? Have you reduced the amount of duplication of information in your department? Tell me how you did any of this or anything else you can think of in the last year. Tell me where you work and what you do. 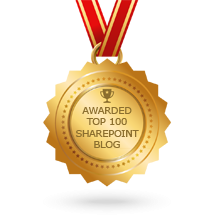 Tell me how many people it helped, how SharePoint helped you achieve that; and win the ShareMaster of Month Award! The Lets Collaborate Seal of Approval! You will get a certificate and your story published on my website and blog so other business users can learn from your genius. (If you live in South Africa, you will also get a lunch voucher to a restaurant of your choice for two). In December we will decide who the ShareMaster of the Year is – the submissions during the year will be listed for you to vote on. The winner will get a fabulous hamper from Lets Collaborate as well as a certificate for ShareMaster of the Year! 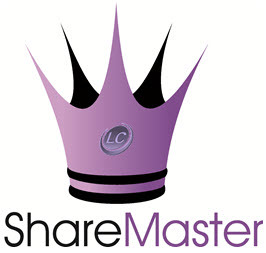 Are you ShareMaster 2011? (If you live outside of South Africa, your hamper will be shipped to you). Share, it’s the right thing to do. Applications are open! Awards will be issued on the last day of every month, so submit your story at least one week before that please. This award is awesome. It will help user to leverage their businesses effectively through SharePoint 2010. If you need some ideas on what to write, check out a series Microsoft also just brought out.